Today we are happy to present author Mike Vago. Mike is the author of the book TRAIN. Be sure to enter to win a copy of TRAIN on the Illustrator Spotlight. 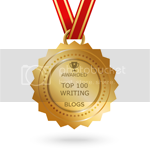 Tell us about yourself and how you came to writing for children. More or less by accident. I work for Workman, who published TRAIN, in their art department, and one of my jobs here is to design our trade show booths. We were promoting a coffee table book about golf, and I thought it might be fun to put a putting green into the booth. I was building a model to try and work out the idea, and realized the model was book-sized. You could putt the ball across the page, and when you got it in the hole, it would drop to the next page. That idea became THE MINIATURE BOOK OF MINIATURE GOLF. Workman originally intended it for adult golfers, as they buy a lot of books, but I had always loved mini golf as a kid, and thought that was the audience. I ended up writing it in a way that I think appeals to both. But after that, I focused on ideas that would work as a book and a toy, as I feel like books with any kind of interaction always appeal to kids. How did the interactive part of TRAIN come about? Like MINI GOLF it started with the interactive part; the rest came later. I had been studying pop-up book construction, and came across a method of sliding something across the page on a track. It hit me that you could extend the track around to the next page, and the basic idea of how to do that came pretty quickly. The problem was, the train would get stuck, or rip up the paper as it went by. I made several prototypes, and each one was worse than the one before. I finally gave up and put it on a shelf for a few years. But when we hired a new children's book editor—Daniel Nayeri, who worked with me on TRAIN and has done his own books for Workman—I mentioned the idea to him, he liked it, and together we hashed out the paper engineering problems in about ten minutes. In the meantime, my wife and I had been talking about the tone of the book. Our kids loved THE LITTLE ENGINE THAT COULD, and Margaret Wise Brown's TWO LITTLE TRAINS, and we both wanted TRAIN to tell that same kind of gentle story for younger kids. I really liked her idea of how the story should flow, so I asked her to write the text. What kind of research, if any, did you do to write this book? No research, just lots and lots of prototypes. Although people at Workman knew I was developing this book from almost the beginning, and were very encouraging, I wasn't ready to pitch it unless I knew the train mechanics were definitely going to work, and that took a while. 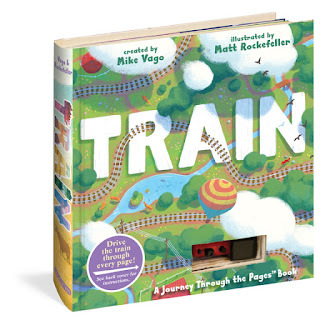 The followup to TRAIN, ROCKET, which comes out later this year. It has the same look and feel, and some more gorgeous Matt Rockefeller illustrations, but this time follows a rocket soaring through the cosmos. I also wrote a not-for-kids novel I'm looking for a home for (Workman doesn't publish fiction), and have only just started a maybe-for-kids novel about a girl born on a spaceship on its way to colonize the nearest star. Clearly this is my year for spaceship-themed ideas. Write as often as you can, it's the only way to get good at it. Don't wait for your writing to be perfect, or you'll never finish it. Just put your ideas down, because once you do, you can go back and fix anything you're not happy with. And it always helps to have a good editor — who can be a professional, or just someone whose opinion you trust who's willing to take the time to give you feedback. 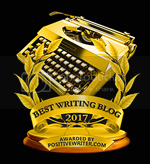 The best editors I've ever had weren't the positive ones, they're the ones who can (gently) point out what I can do better. I don't want to hear that I'm great, I want to hear how I can improve. Look for that kind of feedback and treasure it. From 1998 to 2005, I ran one of the first internet-only radio stations, Invisible Radio. There was this then-new-fangled technology called RealAudio, which let me pre-record a show that people could then stream on their computers. Eventually, the record labels pressured the government to make it harder for us to give their albums free promotion, so we shut down. But it was fun while it lasted. I'm a regular contributor to The A.V. Club (avclub.com), where I write a column every Sunday on odd Wikipedia pages. And workman.com has info on Train and my other books. 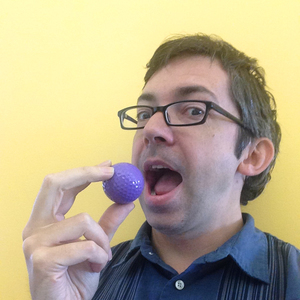 Mike Vago is the creator of the bestselling The Miniature Book of Miniature Golf. He's a graphic designer and a regular contributor to The A.V. Club. He tells people he lives in New York, but he actually lives in New Jersey. Golf balls to trains to rockets! It's interesting how one idea leads to another. Thanks for sharing.